IOS App Developer: Rosetta Stone, Ltd. Think that I’m learning seemingly smooth until I got to colors and it became a nightmare. I’m color blind and don’t know how I can learn what I cannot see and there seems to be an undertone of color throughout. Buggy. Doesn’t load. Use something else. Every time I try to open the app, it takes forever to load, or it doesn’t load at all and I have to close the app, reopen, and hope it works the next time. I’ve submitted several tickets in the app and these idiots haven’t updated their software to fix it yet. If I can give this anymore negative stars I would. As soon as I subscribed, downloaded the app and 90% of the content was locked. Managing subscription option sends you to a blank page and I figured it just needed time to refresh my sub data. I looked through the support page and it suggested to reload the app. After waiting and trying all these steps, I contact customer support that immediately doesn’t bother to read the steps I’ve tried. The rep begins to send me one sentence fixes like sign in and out, uninstall and reinstall the app. This is after me reminding him I did all this. The second rep that I asked for a refund from keeps telling me to give them a chance to fix it and made me repeat myself that I just wanted a refund, only to be told that it will take 7-10 business days to get my money back. Considering it only took a minute to take my money I thought it was ridiculous it will take this long to get money back. To add insult to injury, the 3rd rep kept telling me there was no point talking to a supervisor after I asked to speak to one 3 times. Save your time, money and any potential heartache and stay away from this. 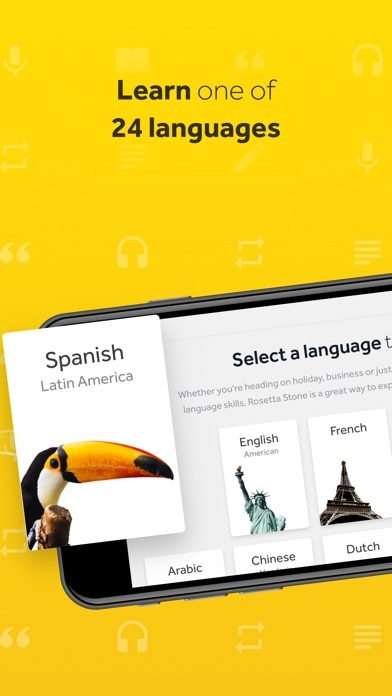 I think Rosetta Stone helps kids enjoy, learn, and have a benefit from a touch away. 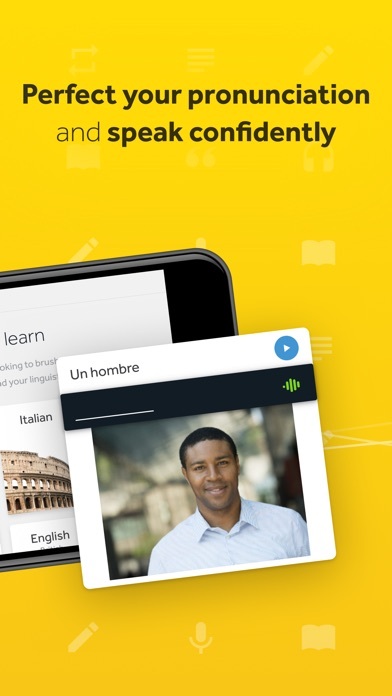 Rosetta helps you speak any language and learn it it helps you learn pronunciation and certain words I say if you’re learning a language use Rosetta Stone! Au revoir! 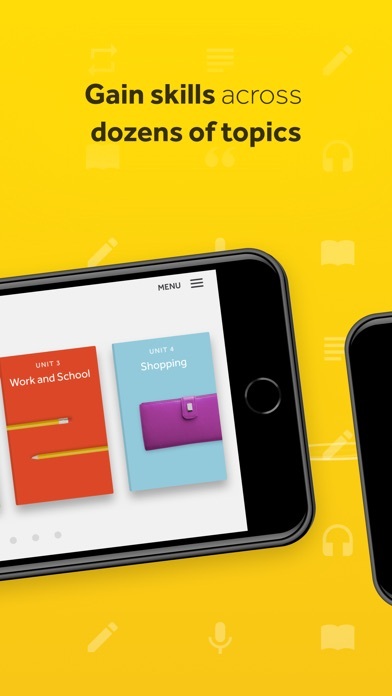 I used the three day trial to test out the app and I found that in the very early stages of learning the language the app was very clear and worked well. I continued my subscription and buy my fifth day I realized that there is no way I will ever be able to really understand Spanish grammar using this app. The format just really doesn’t work for me. I think good old fashion flashcards would be better. I think this app might be really great for some people but I’m such a visual learner that I’m struggling to make it work. I wish there was someway I could cancel my service or at least paying month-to-month. I have not been able to find any way to change my subscription settings. I’ve installed on an iPad, iPhone, and fire tablet and the app freezes almost every time I use it - which is daily. So frustrating! As far as learning goes, good concept. Kind of hard to learn if it routinely freezes though. Support says I uninstall/reinstall. That’s a pain. Im not exaggerating. I now call it the daily freeze. Really well done. Enjoying learning this way very much and the price is well worth it! I love this app because I’m taking a trip to France and I would like to know some France. This app has helped me learn so much. 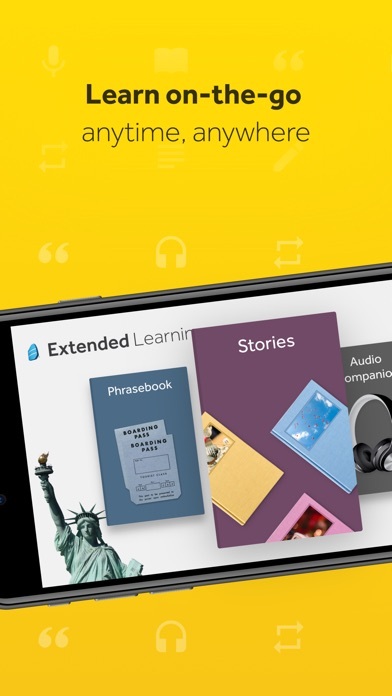 More IOS Apps by Rosetta Stone, Ltd.